There's still a lot even doctors don't know about it. Scientists are experimenting with applying electrical current to brains as a potential therapy and enhancement. A wave of DIY brain-shocking is worrying experts. Would you ever zap your own brain to see what happens? DIY and direct-to-consumer devices are available, but researchers have called for an open dialog with the DIY community about the risks. Transcranial electrical stimulation, or "tES," involves applying mild, controlled electrical shocks non-invasively to a subject's brain. Scientists have been interested in learning if and how tES can address psychiatric problems and maybe enhance creativity and cognitive abilities. Now, otherwise-normal people are performing tES experiments on themselves using transcranial direct current stimulation, or "tDCS," in which a mild, direct current is delivered to the brain via electrodes placed on the scalp. Doctors are concerned. A paper published in Creativity Research Journal by a team of Georgetown psychologists warns that this is dangerous territory to be playing in. The potential dangers are unclear, as are the possible benefits, and the procedure and hardware are unregulated. There are already direct-to-consumer products available, and there are build-your-own instructions online. Why are scientists interested in tES? Electrodes are applied to a test subject's head prior to performing cognitive tasks. Researchers are interested in studying how tES affects cognition, fatigue, mood, and other aspects of the mind. According to a 2017 article in Frontiers in Human Neuroscience, scientists are exploring these methods as a way to "establish an association between the application of weak electric currents to specified locations on the scalp and changes in a behavioral index of interest. An implicit assumption of this approach is that the electric currents modulate neural activity in the regions beneath the scalp locations and accordingly affect behaviors supported by these neural regions." It's not just curiosity. The above article also notes that such procedures "can modulate a wide-range of behavioral processes, and ameliorate deficits in several neuropsychiatric disorders." In particular, electrical stimulation has been shown to be useful in treating depression. It's important to note that tES is not electro-convulsive (ECT), or "shock," therapy. Rather, tES involves much smaller charges of electricity than the more radical ECT. 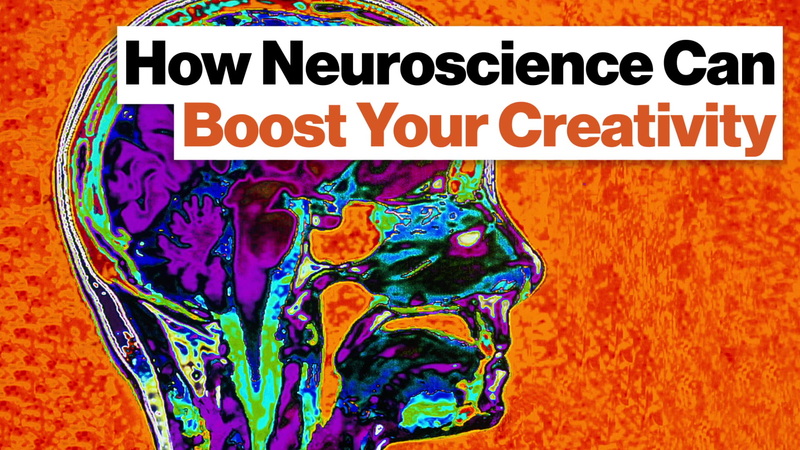 Some tantalizing research, including earlier work at Georgetown, suggest that it's possible to boost one's creativity with the application of electrical current to the brain. Study co-author Adam Green—who also contributed to the new paper by warning of the dangers associated with home-brewed tES—made tES's potential clear in 2016: "The findings of this study offer the new suggestion that giving individuals a 'zap' of electrical stimulation can enhance the brain's natural thinking cap [and] creativity." Noting that this constitutes "a departure from traditional research that treats creativity as a static trait," Green explained, "we focused on creativity as a dynamic state that can change quickly within an individual when they 'put their thinking cap on.'" That's not all. That study's other author, Peter Turkeltaub, pointed out electrical treatments' promise for resolving functional brain issues. As an example, he offered "People with speech and language difficulties often can't find or produce the words they need. Enhancing creative analogical reasoning might allow them to find alternate ways of expressing their ideas using different words, gestures, or other approaches to convey a similar meaning." The new paper, "Neuroethical and Social Implications of Using Transcranial Electrical Stimulation to Augment Creative Cognition," by Adam B. Weinberger, Robert A. Cortes, James Giordano, and Green, says that home-use and direct-to-consumer products raise issues that are important to address when considering "the viability, safety, value, and provision of tES" particularly in regard to "clinical, occupational, and lifestyle applications." Giordano told EurekAlert! that "DIY applications can pose certain challenges in that constraints may not be appreciated or adhered to, and in some cases, not regarded." That this trend has emerged isn't that surprising, according to Green, who said, "There are multiple potential concerns with DIY-ers self-administering electric current to their brains, but this use of tES may be inevitable." Part of the danger, though, lies in so much still being unknown about the way the brain works and the manner in which it interacts with electricity on a fine-grained level. One type of damage is especially worrisome to Green, who noted that "anytime there is risk of harm with a technology, the scariest risks are those associated with kids and the developing brain." The Brain Driver, a direct-to-consumer tDCS device. Giordano recognizes that "the DIY community is certainly not cavalier or a proverbial 'wild west' environment. Many DIY individuals and groups employ independent institutional review boards, or establish self-regulating oversight committees to guide the scope and tenor of their work." And he admits a possible benefit to all this freelancing, saying "the nature of DIY engagement can also provide an environment of avant-garde iterations of science, technology, methods and applications. This is not necessarily a bad thing, per se, as it may, in fact 'push the envelope' to some extent." "But there is what I feel to be justified concern that such attempts could incur safety issues," continued the neuroethicist. "In that light, we have called for an ongoing dialog with the DIY community to enable improved communication of techniques and effects so as to remain aware of what's being done, how, and the outcomes of such work that may be important to advancing the field and clinical care of any adverse manifestations."